Our interlocking paving stones are non-skid, non-slip and guaranteed to endure a lifetime of use and exposure to the elements without cracking or crumbling - making them ideal for a driveway resurface, patios, walkways and pool decks. And in the case of say, a plumbing problem, only the stones covering the repair work are removed and seamlessly replaced by one of our technicians. Modular paving stones or "pavers" are manufactured to the highest standards in a state-of-the-art automatic facility to ensure beauty, uniformity, durability and strength. So they're built to stand up to the roughest conditions, from shifting soil to extreme heat or cold. Pavers are manufactured to meet American Society for Testing and Materials (ASTM) standards of at least 8,000 psi, approximately four times stronger than concrete and 10-20 times the strength of asphalt. Paving stones are all consistent in size, allowing for perfectly straight lines and flatness of paved surfaces. This makes it easier to plow or shovel snow off the surface in the winter. 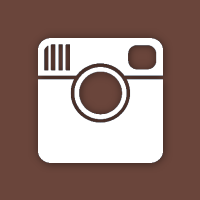 With the use of different shapes and colors, we can also achieve impressive designs. Pavers are an attractive alternative to concrete for a driveway resurface. They are 60 mm thick, providing extra strength for vehicular traffic. Pavers are colored with a variety of imported oxides, which reduce fading and keep the surface as good as new for many years to come. 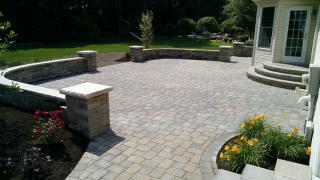 Pavers have beveled edges to reduce chipping of the paved surfaces. Pavers are sand jointed and therefore totally flexible, completely eliminating the possibility of joints cracking. Pavers don't expand due to moisture absorption, which could cause traditional paving methods to lift. Therefore, frost damage is virtually non-existent as the joints between the pavers absorb the damaging powers of frost by flexing and not cracking. 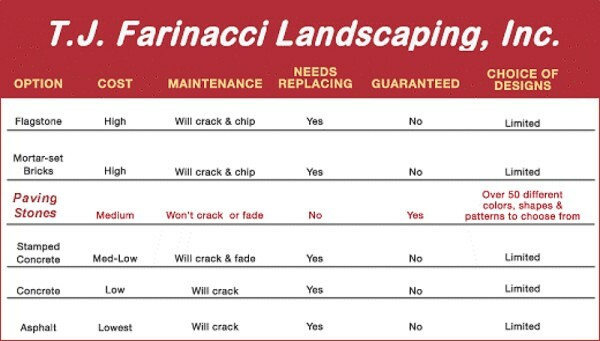 The interlocking paving stones used by T. J. Farinacci Landscaping, Inc. come with a lifetime product guarantee against breaking and cracking.